The very long week of sanding has finally wrapped up. Oh my goodness, the dust. Even with “dustless” sanders the house has been filled with a hazy dustcloud. But the positive side is that the freshly sanded floors are revealed! 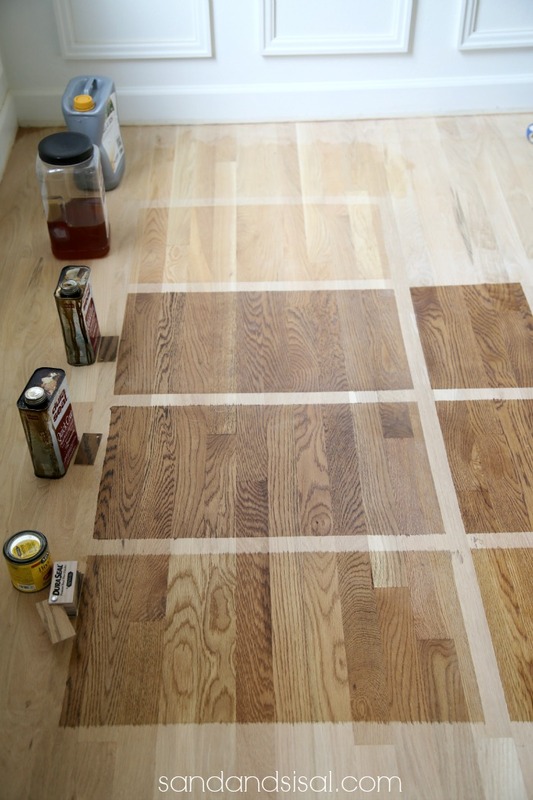 The time has come for choosing hardwood floor stains! 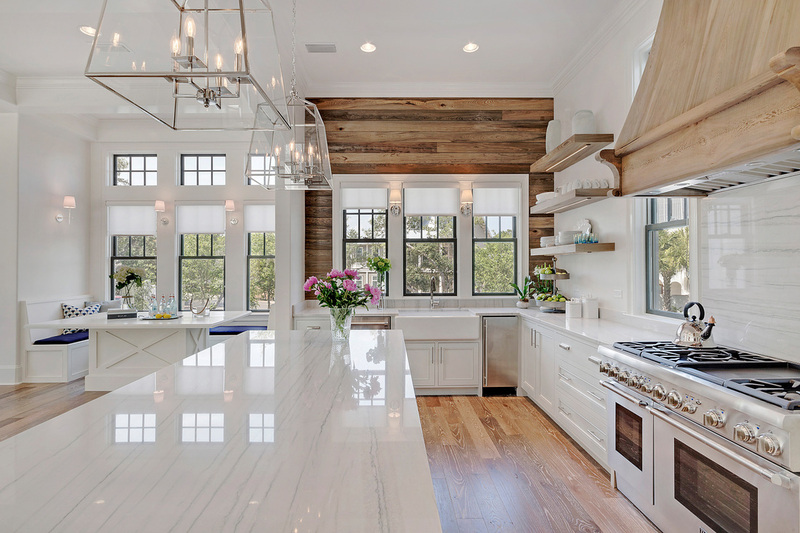 The white oak floors are so beautiful, light and bright in their raw glory! If you follow me on Instagram then you know I was second guessing myself on whether or not I should even stain them. 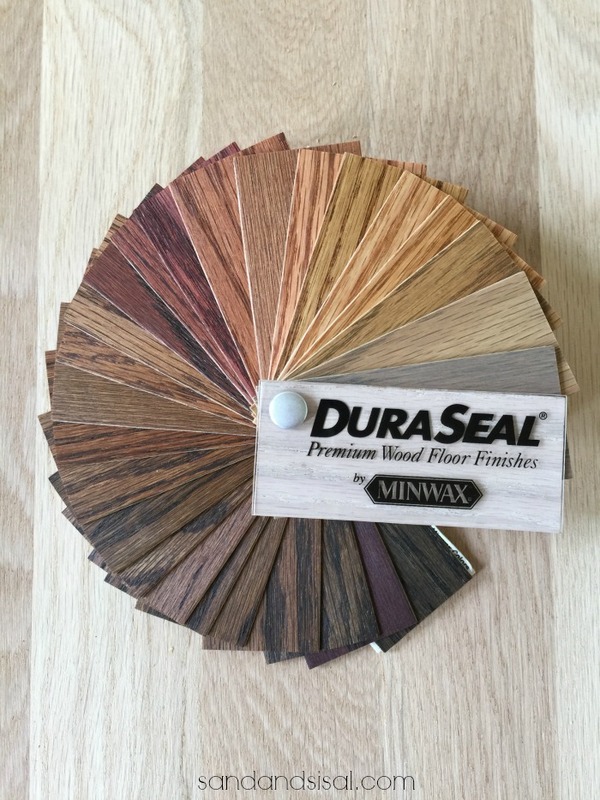 We had a huge array of stain choices to choose from Dura Seal which is made by Minwax. How in the world do I choose? I’ve loved rich dark floors like these gorgeous Jacobean stained floors by my friend Kellie, Nest of Posies. Her home is filled with walls of windows and natural light, but I was fearful this shade would look too dark in our home. I love how the Jacobean brings out the rich grain pattern of the oak. Then my sister shared this jaw dropping, beautiful coastal white kitchen with a cypress plank wall, island, cabinetry and stunning floors by Old Sea Grove Homes. It was love at first sight. This bathroom with weathered oak floors with dark and light variations, was even more confirmation that I was leaning towards the lighter stain choices, especially for coastal home decor. Stephen didn’t have DuraSeal in Weathered Oak on hand so I used the Minwax Weathered Oak that I had and had used in my How to Refinish a Table tutorial. Minwax makes DuraSeal so we knew the stain color would be the same. Note: Stains look very different on different species of wood. My kitchen table is made of rosewood and the weathered oak stain appears very gray like driftwood, but on red and white oak the stain will take on more golden hues. That is just the nature of the wood. Always test the stain on your wood before you commit to a color. Also, if you notice in the picture above, the stains on the right look a bit darker. In preparation for the floors, the refinishers will sand the floors with an 80 grit sand paper and then apply the stain. I wasn’t aware of this and so Hubs and I decided to play around and we sanded the floors to the right with a 150 grit and our electrical sander. It took the stain so differently! 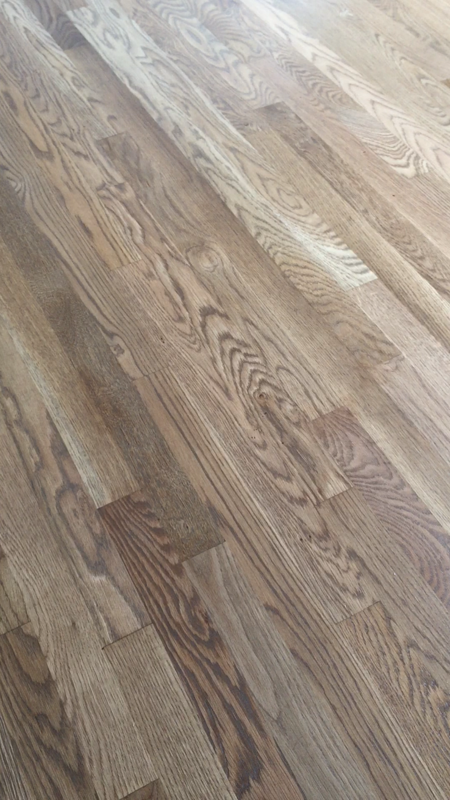 Our flooring expert explained that yes, not only does the wood type change how the stain appears, but also the grit level of sanding beforehand. Who knew? I can’t wait to show you what we chose and how the final floors look! We still are currently in a hotel waiting for all the top coats to be finished before we can come home. So tell me…. which stain would you choose? 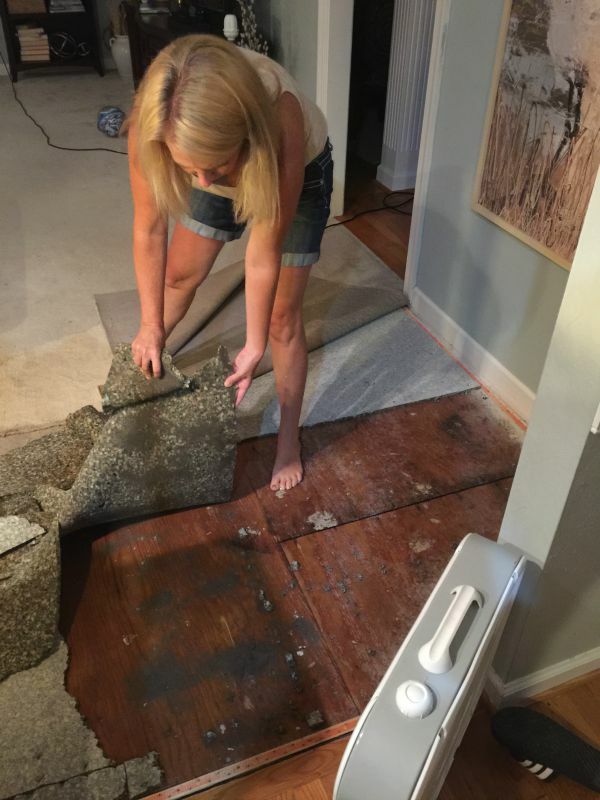 Catch up on all the progress after our home flood! 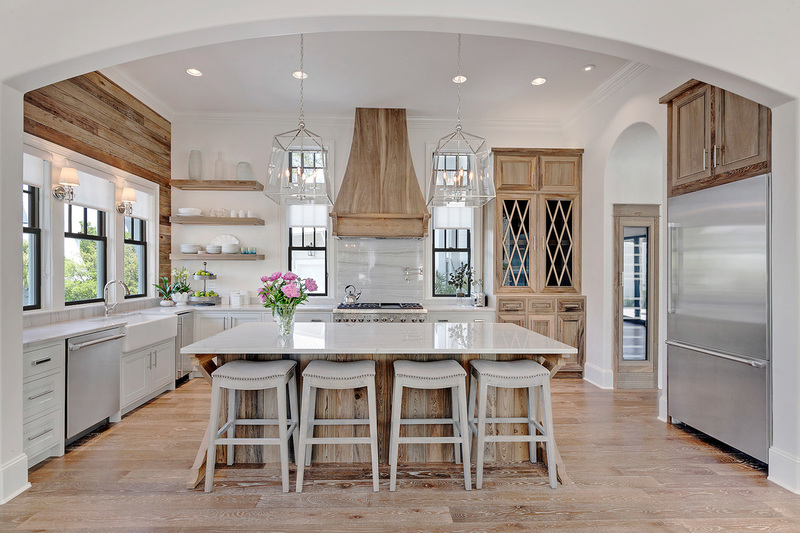 All of the finishes are beautiful…I choose weathered oak. I love your home. Our floors are stained provincial, but they are red oak, so darker with more red undertones. We have loved the color. It goes well with both light and dark woods and many painted surfaces. I also used Provincial because we had red oak. I get lots of compliments on it, but it is not me. I would have much rather had a lighter color, but there was no way to get the red out. I think you are lucky to have white oak. I would go naked with water-based finish. I love Provincial but I’m guessing you choose the weathered oak. Can’t wait to see the reveal in all its glory! And no scratching kids. So exciting! I went through the stain choosing process a few months ago for our kitchen and whole first floor. We have red oak and we chose the Provincial. Love it! Just looking at your choices, I don’t think you could go wrong. Can’t wait to see what you choose! Just came in ia Pinterest, because I’m looking for stain for my reclaimed pine kitchen floor. Interestingly enough, I, too, used Provencal on maple cabinetry I built in my MBR. I also used Varathane’s ‘Sunbleached’ (less blue than Minwax’ Weathered Oak) and on top of that, Provencal, and a quick coat of Jacobean on reclaimed oak cabinets I stripped for my kitchen. Sounds like we all enjoy similar looks. I also came across your site via Pinterest! 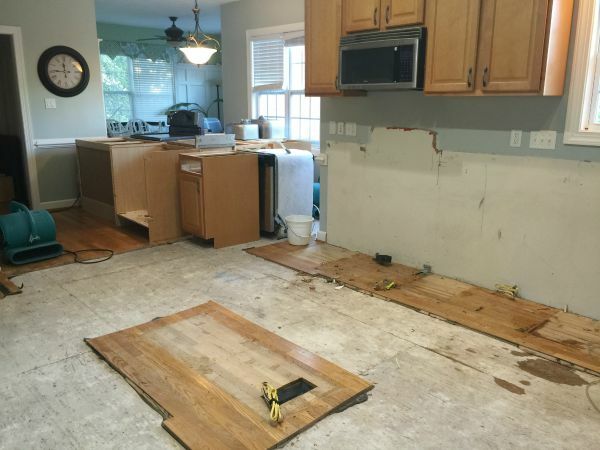 We are buying a new home and will be redoing the floors prior to moving in. After a LOT of stain testing, we’ve landed on Weathered Oak for our 1950s red oak floors because it’s light and we like how the grey offsets the red tones. However, I’m still not sure how long to tell the contractors to let it stain/sit for. I love the level of darkness in your floors, do you happen to recall how long it sat for? And was it one or two coats? Thanks! I love light floors! 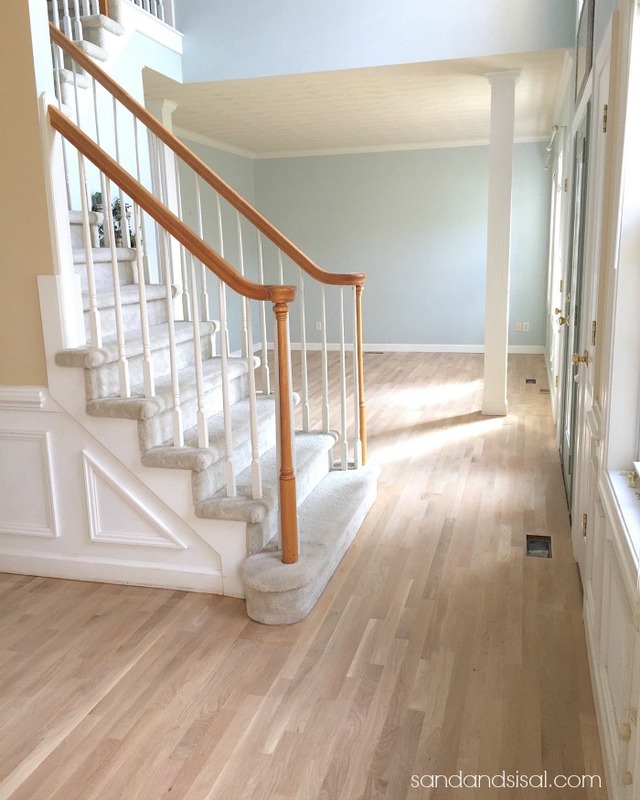 We are getting bids right now for putting in white oak floors but contractors don’t seem to understand how to make them light or find the wood that light. 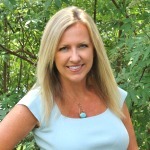 Do you know where your contractor bought the wood? And how wide are the planks? Thank you! 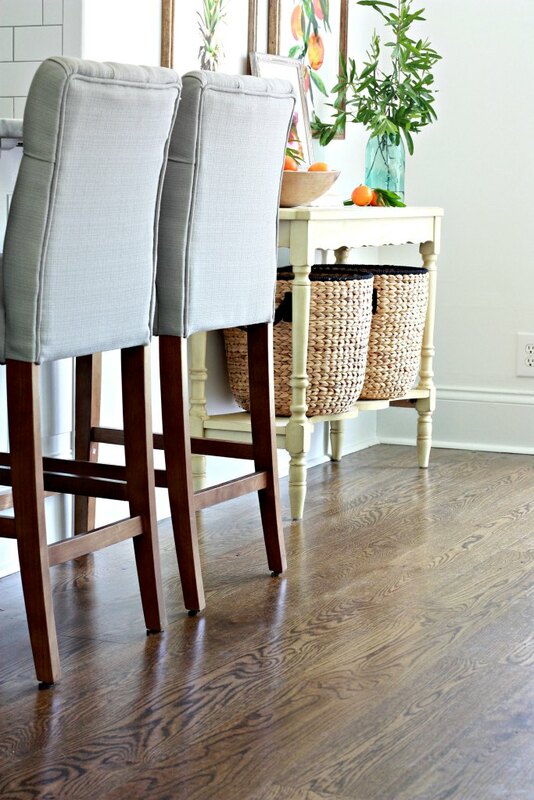 The light oak is white oak and the floors in the photos were completely raw wood (just sanded). I used a reputable local hardwood flooring installer. To be honest, I’m not sure where he gets his wood. 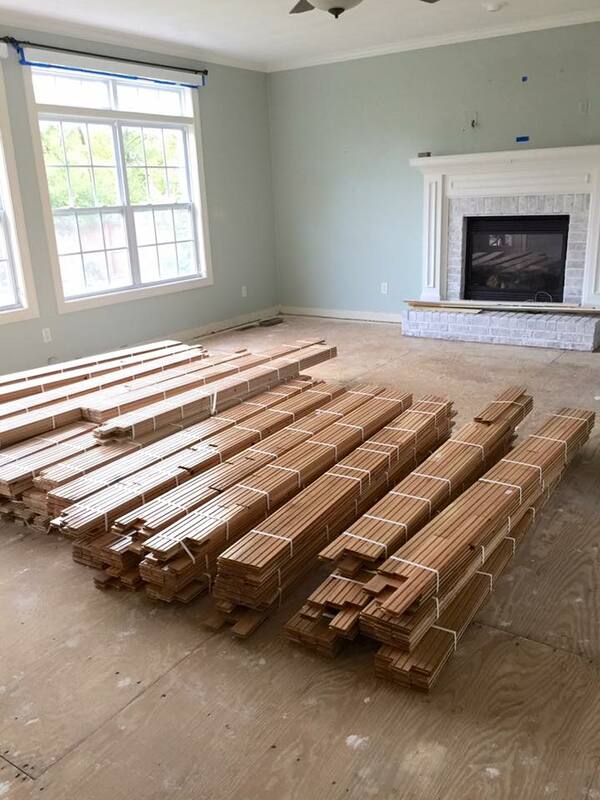 The planks are a standard 2 1/4″ throughout the house. We ended up staining ours with Weathered Oak but a year later I wish I had just left them raw. We did have them sealed with 3 coats of Bona Waterborne which is clear, stronger, and is not supposed to yellow over time like polyurethane.